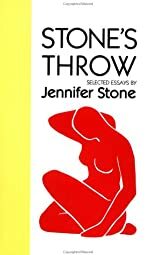 Stones Throw: Selected Essays was written by Jennifer Stone. Stones Throw: Selected Essays was published by North Atlantic Books, Frog Ltd. Subjects of Stones Throw: Selected Essays include American - General, and Literary Criticism.